Wolf, a low-rent private detective, roams London’s gloomy, grimy streets, haunted by dark visions of a future that could have been—and a dangerous present populated by British Fascists and Nazis escaping Germany. Shomer, a pulp fiction writer, lies in a concentration camp, imagining another world. And when Wolf and Shomer's stories converge, we find ourselves drawn into a novel both shocking and profoundly haunting. 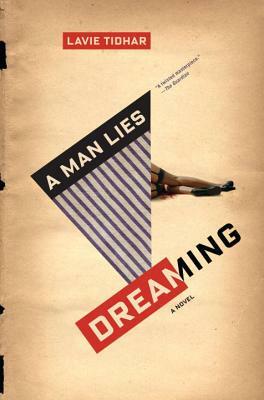 At once a perfectly pitched hard-boiled noir thriller (with an utterly shocking twist) and a “Holocaust novel like no other” (The Guardian), A Man Lies Dreaming is a masterful, unforgettable literary experiment from “one of our best and most adventurous writers” (Locus). LAVIE TIDHAR is the World Fantasy Award-winning author of The Violent Century, Osama, and many other books. He won the British Fantasy Award for Best Novella and has been nominated for many other prizes. He grew up on a kibbutz in Israel and in South Africa but currently lives in London.